Coffee is the world’s third-most-popular beverage, and the scientific understanding of coffee’s effects on the body has changed many times over its history. 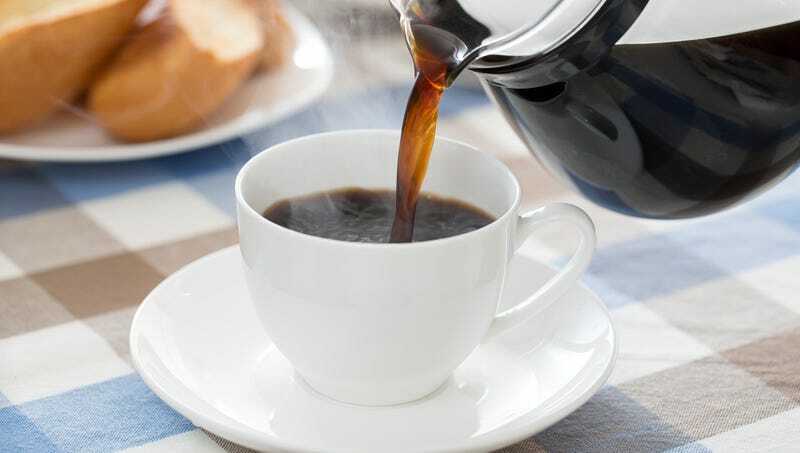 The Onion reviews the health claims that have been attributed to coffee over the years. Puritan study finds coffee can cleanse the body of Satanic impurities and reduce belly fat. Excessive coffee intake linked to frequent urge to jitterbug. Oxford study finds one to two cups of coffee can help speed up recovery from a lobotomy. Worries about potentially deleterious effects of coffee rise drastically after the Folgers Murders. Scientists explore possibility of getting free coffee by constantly launching new coffee studies. Coffee improves alertness during nighttime highway drinking and driving. Coffee can help you live longer, unfortunately. Study finds coffee makes you feel anxious but you have to drink three cups a day to stay alert enough to finish your work and you’ll be stuck in this hellish cycle forever.